This notice seems to have been first brought to the attention of the non-that-one-Cappuccino-owner population via this tweet. Contents of trouble: There is a cylinder block sold as a replenishment part that does not have embossing of the prime mover “K6A”. Therefore, it is not possible to confirm the identity with the vehicle inspection certificate on vehicles equipped with the cylinder block. Content of improvement: Replace the prime mover model with a cylinder block that has been engraved. So, it looks like the cylinder block on the 658cc engine is missing the identifying K6A stamp, which seems like that could cause an issue for the car to receive its inspection certificate. Why did this just now become a recall-worthy issue? Does Japan only decide to check the engine block identification stamp when the car turns 21? I’m confused. Amazingly, the solution seems to be to replace the whole engine with one that has a properly stamped engine block. They can’t just stamp the engine block somewhere while it’s in the car? See that? In the ‘Number of vehicles subject to service campaign?’ part? There’s one. One car. That’s it. That’s the whole recall. So, Cappuccino owner without a properly stamped engine block: did you get on this? Get your car to your Suzuki dealer! This is a recall, after all. 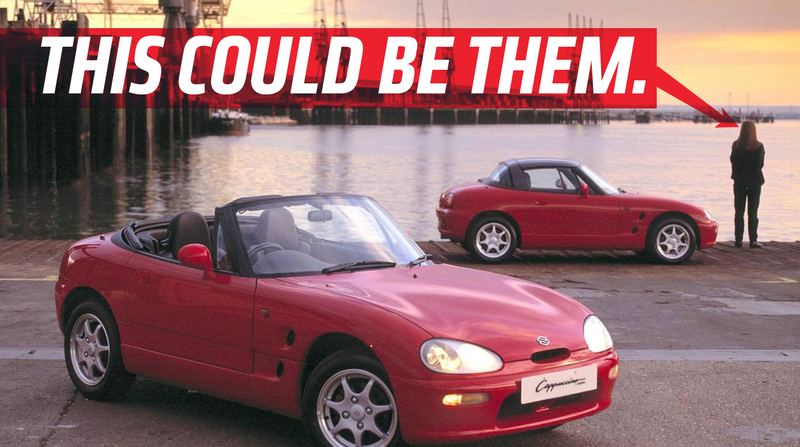 If you don’t get it stamped, post-haste, Suzuki might send a helicopter to your house, pick up your little Kei car, fly it to a factory, stamp it, and send it back with a terse note from the original builder demanding you take better care of your car. Suzuki is really, really counting on you to get this recall settled.